The exterior of your home is just as important as is the interior in maintaining the value of your largest investment not to mention the well being of your family. Many times, we do not give the exterior the priority we give the interior. 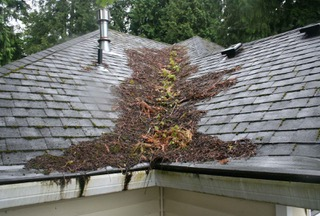 However, sun, rain, leaves, debris and mold can reduce the life of your roof and gutters. Even small amounts of debris over time can do a lot of damage. 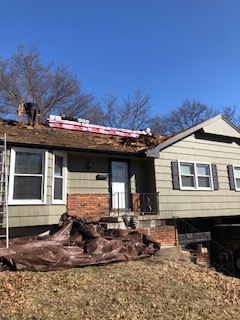 All of these factors can be reducing the life of your roof, gutters, fascia and siding by allowing water to travel into and onto surfaces that become damaged with too much exposure. Further, wind and hail may have damaged your roof and ridge vents, and it may not be visible from the ground. Squirrels may have chewed the sealing of your pipe jacks. Nails and flashing may be sources of leaks, causing unseen damage to your decking. 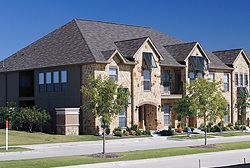 To meet your needs, we have a variety of exterior residential services from which you may choose. All services are provided by a professional craftsman and we strive for 100% customer satisfaction. 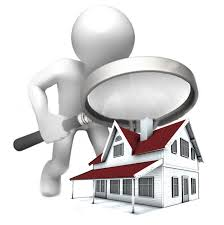 If you are buying, selling, or just staying for the long term, you may want a roof and exterior inspection. Experiencing problems with your roof? Roof leaks are one of the most common problems encountered by home owners. A small leak can create a lot of damage if not repaired.